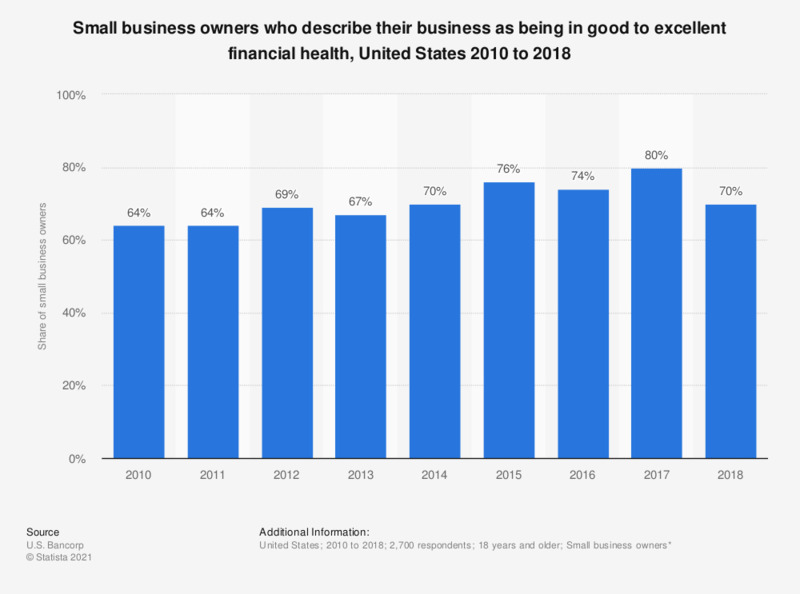 This statistic shows small business owners' responses to a survey question asked from 2010 to 2018, about the financial health of their businesses. In 2018, about 70 percent of respondents rated the financial health of their businesses as being good or excellent. * The surveyed small business owners had less than 10 million U.S. dollars of annual revenues. Data prior to 2018 can be found in the 2017 report.